…but what did it do? And now he wants vengeance, but there is more standing in his way than he knows. Alone, he will surely fail, but who will fight by his side? Will needs a plan. To kill the man who slaughtered his father he must face fifty battle-hardened soldiers and worse. Can a band of rebels be won over to his cause? Will they help him steal the stone he needs for victory? Can he learn to wield its powerful magic in time? Is it a demon, a god, or something unimaginable? You’ll be hooked on this epic tale from page one, because everyone loves an epic adventure against all odds. Fans of R.A. Salvatore, Brandon Sanderson, and Sarah J. Maas will love this sword and sorcery adventure. 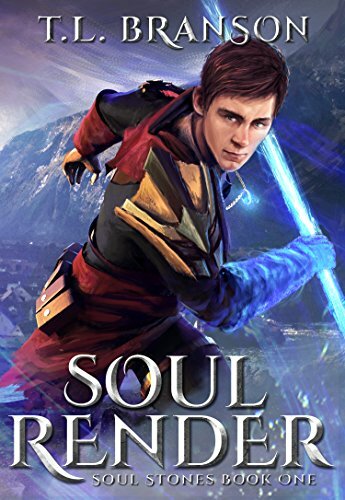 Soul Render is an action packed fantasy adventure by T.L. Branson. It's the first book in the Soul Stone series. Some series have cliffhanger endings, which can be frustrating, but this one leaves you satisfied with a completed mission and a new and more challenging one about to begin. The main hero, Will, is the eldest of three brothers and he's impulsive, but usually well-meaning. His actions often get him into trouble, but sometimes, with bravery and brilliance, he does things right. The story moves quickly with just the right amount of world building and character development. There are secrets and schemes by different players. There are also no guarantees in battle, and sometimes good characters die. I highly recommend this book for young adults and up. Please be aware that there is a lot of violence in this sword and sorcery tale. T.L. 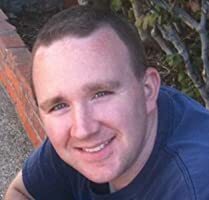 Branson is an author of YA and Epic Fantasy. His debut novel, Soul Render, is the first in a planned trilogy. Branson started writing when he was eighteen but didn't take it seriously until eleven years later. Born in Pennsylvania, he currently lives in California with his wife and two children. He finds his inspiration from the kings (and queen) of story, J.R.R. Tolkien, C.S. Lewis, George Lucas, and J.K. Rowling. That's code for "he's a total nerd!" Branson first fell in love with fantasy when he picked up a copy of R.A. Salvatore's The Thousand Orcs. Since then, not a day goes by where his mind doesn't wander into the realm of elves, dwarves, and orcs or crave for an epic adventure.